What Will Foreclosure Do to My Credit Score? Home » Blog » What Will Foreclosure Do to My Credit Score? If you can’t avoid foreclosure, you’re in trouble. If you plan to buy another home some day, or if you want to rent a place, your foreclosure is going to show up on your credit report. A foreclosure hands around for 7 years, unless you can file for Chapter 7 bankruptcy. After two years, your foreclosure will begin to repair itself. If you don’t want to wait, your best options are to avoid foreclosure, attempt to be forgiven for the debt, and be strict with your money. Ideally, you’ll completely avoid foreclosure – even if you don’t want to own the property that’s being foreclosed. When you don’t want the home anymore, you can always sell it and settle the difference between the sale price and the remainder of the mortgage. If you want to keep your property and continue to live there, there’s a few ways to do that. If your lender isn’t working with you, you can work with a US approved foreclosure counselor who can deal with your lender on your behalf. In most cases, lenders want to avoid complicated judicial processes. They’ll be willing to help you restructure your loan or create a modification that will work for everyone. When you’re too far behind to catch up, or your lender won’t help, you may be able to file for Chapter 13 bankruptcy. If you’re eligible, the bankruptcy courts may be able to grant you a temporary stay. The stay prevents your lender from pursuing further action for a few months. During this time, you’ll be able create a new plan with your lender. This will only work if you know you’ll be able to follow the new terms to the letter, which means paying your lender when you’re supposed to pay. You can’t miss any more payments, because you won’t get another opportunity to save your home. If you can’t avoid foreclosure with a modification or restructured payment plan, you’ll still need to protect your credit score. This means managing your other debts to minimize the blow. Foreclosure is usually something that happens towards the end of a bad financial period. The majority of people continue to pay their mortgage for as long as they can, while letting other bills pile up. This creates a bigger problem where debt spirals out of control. Be as attentive as you can to your other debts. Whatever lenders or creditors you’re working with will require some kind of payment plan. It’s easier to create plans for smaller debts, like on credit cards with low limits, than it is to negotiate a large debt. Even if you can only pay the bare minimum, that’s better than nothing. Call up your creditors, explain your situation, and tell them you need to keep your credit in good standing. You’ll take a large hit from your foreclosure, but you don’t need to take an even larger hit for your additional unpaid loans or debts. If you can’t afford to pay everyone off, including your lender, the only way to lose the debt is by filing Chapter 7 bankruptcy. Check with local laws and see if you fit within the filing criteria. In most states, your gross income for the past 6 months has to be below the median income for a family of the same size. If you can file, you still won’t be able to save your home. Chapter 7 Bankruptcy doesn’t pay your debts for you – it just keeps creditors from collecting them. Your mortgage is tied to an asset (your home), so your lender is allowed to take that asset back. 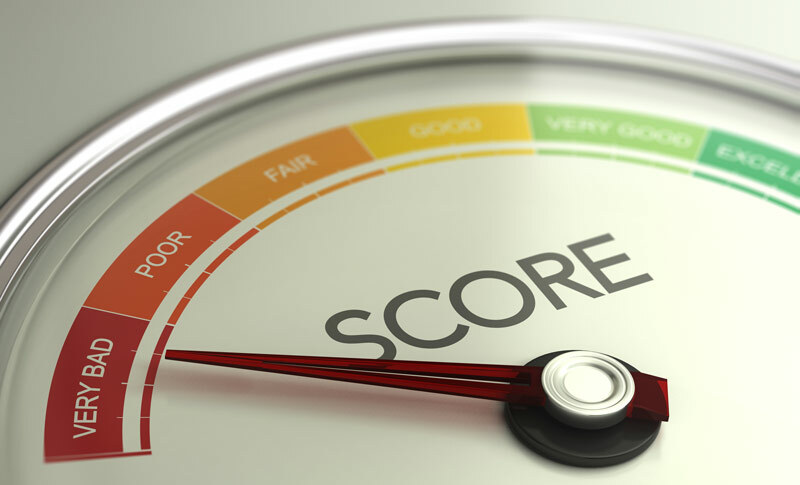 Your credit score will take a hit from filing bankruptcy, but it’s far better than leaving the foreclosure on your report. Though your credit score will drop after a bankruptcy, your debt will also disappear. Your foreclosure won’t appear on your report, and neither will any other debts you’ve racked up. You’ll be able to rebuild credit, although you can expect higher interest rates and lower credit limits. Even if it takes you five years to get back to where you were, you’re still making out well. Foreclosure takes seven years to drop off, and you can’t do anything about it. Without the foreclosure on your record, it might even be easier to get another mortgage in a few years. Chapter 7 can help you start over, but it’s a double edged sword. You can’t make any more mistakes, because you can’t count on Chapter 7 to keep bailing you out. If you can’t afford a Chapter 13 bankruptcy payment or you can’t get Chapter 7 bankruptcy, you might feel hopeless. Don’t give up. You can still sell your home up until the last minute of the foreclosure. You probably won’t profit, but you’ll walk away with less debt. For example – if you sell your home for $75,000 and you owe your bank $100,000, you’ll only be responsible for paying the difference. It’s a lot easier to settle a debt of $25,000 than it is to settle on $100,000. SoCal Home Buyers may be able to help you. We can give you a fair cash offer right now to purchase your home facing foreclosure. If you cannot avoid your foreclosure, we’d like to help you make it easier. Contact us with information about your situation and your home, and one of our home investment specialists will be able to assist you. « Previous Post How Does Declaring Bankruptcy Affect My Foreclosure? Next Post » What Does California Law Mean for My Foreclosure?